Introduction by Gwen Shamblin. 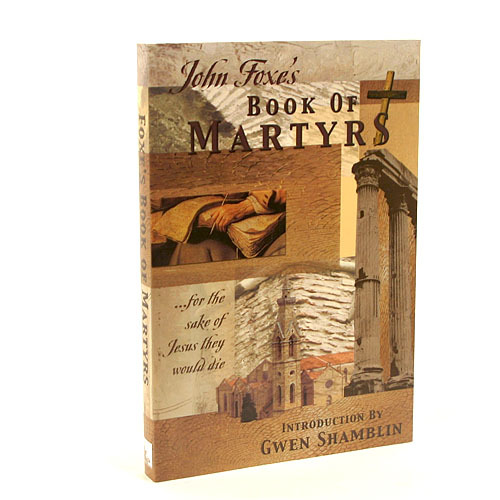 Martyrs are discussed all throughout the Bible. This book covers those who lived in the fourteenth through sixteenth centuries and chronicles the men and women who valued the Truth about God above their own short life. Let us use their inspiring stories to help us put everything into perspective as we face our own daily challenges of obedience and dying to our wills. This powerful book includes a bonus 2- single music CD written and recorded by Michael Shamblin includes “I Salute You” And “Persecution” along with a special presentation by Gwen Shamblin. A must-have in every library.